Texas- With whooping cranes now making their way back to Texas for the winter, biologists are hoping this year will see a record number of the endangered birds in the state. Their population reached a low 21 birds in the wild in the 1940s and again in 1954. The only remaining wild population now nests in northwestern Canada and spends the winter foraging in the wetlands and uplands of the central Texas coast. Last year 283 birds arrived in Texas. But with a reported 37 chicks fledged in Canada this past summer, biologists think that the Aransas-Wood Buffalo population, which once numbered only 17 birds, might hit the 300-bird milestone in Texas for the first time this year. Though the whooping crane has made a remarkable comeback, primarily due to protection from unregulated shooting and habitat conservation, the species still faces daunting obstacles, especially in the 2,400-mile migration path traversed each spring and fall. Two-thirds to three-fourths of the annual mortality in the population occurs during the approximately nine weeks the cranes may spend in migration each year. Radio-marked birds detected in Texas earlier this fall are two of 22 birds being tracked in a study being conducted by Felipe Chavez-Ramirez of the Gulf Coast Bird Observatory designed to help better understand habitat use and sources of mortality during migration. Even on the wintering grounds, where private and public land owners in the stretch of coast between Port Aransas and Seadrift have collaborated to help protect whooping crane habitat, additional challenges exist, according to Lee Ann Linam, a wildlife diversity biologist at Texas Parks and Wildlife. Texas citizens away from the coast can also contribute to conservation efforts for the whooping crane. The cranes usually pass through a migration corridor in Texas that extends from the Texas panhandle eastward to Dallas-Fort Worth and southward to the wintering grounds on the central Texas coast. Their flight path would take them over major cities such as Wichita Falls, Fort Worth, Waco, Austin, and Victoria. The majority of the cranes pass through Texas from late October through the end of November. Citizens can help by reporting sightings of whoopers and prevent disturbance of cranes when they remain overnight at roosting and feeding locations. Whooping cranes are the tallest birds in North America, standing nearly five feet. They are solid white except for black wing-tips that are visible only in flight. They fly with necks and legs outstretched. During migration they often pause overnight to use wetlands for roosting and agricultural fields for feeding, but seldom remain more than one night. They nearly always migrate in small groups of fewer than 4-5 birds, but they may be seen roosting and feeding with large flocks of the smaller sandhill crane. Anyone sighting a whooping crane can help by reporting it to TPWD at 1-800-792-1112 x4644 or 1-512-847-9480. Sightings can also be reported via e-mail at leeann.linam@tpwd.state.tx.us. Observers are asked especially to note whether the cranes have colored leg bands on their legs. Additional identification aids can be found at http://www.tpwd.state.tx.us/huntwild/wild/species/?o=whooper and http://www.fws.gov/migratorybirds/CurrentBirdIssues/SandhillCranes/SandhillCraneHunters.htm. Information about opportunities to view wintering whooping cranes can be obtained from Aransas National Wildlife Refuge (http://www.fws.gov/southwest/refuges/texas/aransas/) or the Rockport Chamber of Commerce (http://www.rockport-fulton.org/). NACOGDOCHES- On Saturday, May 4, 2013, the Friends of Historic Nacogdoches, Inc. and the City of Nacogdoches Historic Sites Department will host the 1st annual Living History of Oak Grove Cemetery Tour. Oak Grove Cemetery was first established circa 1837, and it was later designated as a Historic Texas Cemetery by the Texas Historical Commission. Among those buried there are soldiers, four signers of the Texas Declaration of Independence and a number of local citizens, all of whom helped shape East Texas. 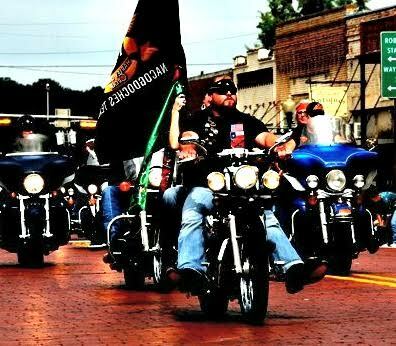 Nacogdoches, Texas– Head out on the highway and find your adventure in Nacogdoches at the 8th Annual Oldest Town in Texas Motorcycle Rally April 29-30. Enjoy a weekend full of live music, Texas’ barbeque, custom bike shows, motorcycle stunts, beer gardens, scenic rides and more. 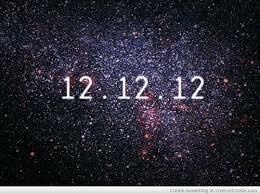 Today is 12-12-12, the last major numerical date using the Gregorian or Christian calendar for almost another century. The next time three numbers will align as they did will be on Jan. 1, 2111, or 1-1-11. For some it represents luck. For others it’s a day of romance. For most of us, it’s just another Wednesday.